The Forum has responded to the consultation carried out by by the OPDC on the Community Infrastructure Levy (CIL). CIL is a levy applied to different classes of development, paid by the developer or planning applicant to the local planning authority. Our response comments on the charging levels proposed by the OPDC and questions how consultation on the 15% ‘neighbourhood element’ of CIL will take place. This portion of CIL is not required to be spent solely on ‘infrastructure’ and local people in the OPDC area will have other priorities to suggest. Social and education facilities will be amongst these, as well as bridges and roads and rail stations. In areas with a ‘made’ (i.e. adopted) neighbourhood plan, 25% of CIL receipts are treated as ‘Neighbourhood CIL’ In a rural area with parish councils, these funds are handed to the parish for them to decide on how these funds should be spent. In non-parished area, Government expects the neighbourhood forum to be given a strong say in the allocation of this 25% element. This is part of Government policy for incentivising neighbourhood planning across England. We have discussed with OPDC planning officers the handling of Neighbourhood CIL, given that CIL receipts within the OPDC area will ultimately be huge. There is a lot of major infrastructure to be paid for through the use of CIL and S106 receipts. We have suggested that there should be a Memorandum of Understanding between the OPDC and the neighbourhood forum, defining how best to consult and agree on the use of Neighbourhood CIL. 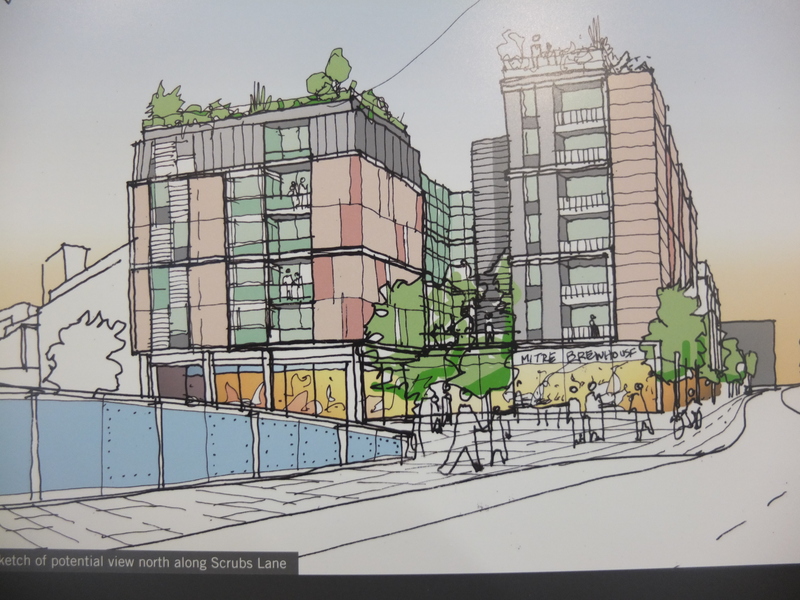 Following on from planning applications from Aurora Developments for their scheme at ‘North Kensington Gate’ proposals have emerged for a second major residential development on Scrubs Lane NW10. 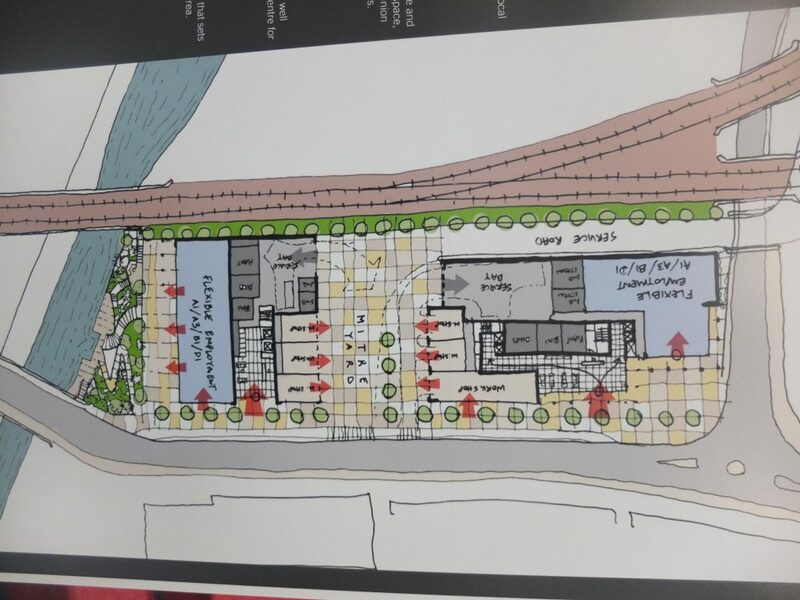 City and Docklands have exhibited initial plans for a site to be rebranded as Mitre Yard. The site is that occupied by European Metals Recycling, just north of Mitre Bridge and the Grand Union Canal. The scheme is mainly residential, for private renting, with employment and retail space at ground floor level. The architects are Make. The interim neighbourhood forum will not be submitting its own comments on a planning application, or on pre-application proposals. As with other applications, we will leave it to the existing residents associations in the area and other bodies (Canals and River Trust, Friends of Wormwood Scrubs) to make their views known. The proposed density is 400 housing units per hectare (as compared with 450 at North Kensington Gate). This is classed as ‘medium’ density in terms of OPDC Draft Policy OSP4. In terms of the London Plan Density Matrix it is at the top of the range, appropriate for ‘Central’ locations with the highest Public Transport Accessibility Levels (PTAL scores). As with North Kensington Gate, the developers are arguing that the location will ultimately achieve these high PTAL levels. But until the HS2/Crossrail interchange and a new Overground station at Hythe Road are open, Scrubs Lane has very poor public transport accessibility. The scheme is proposed as ‘car-free’. 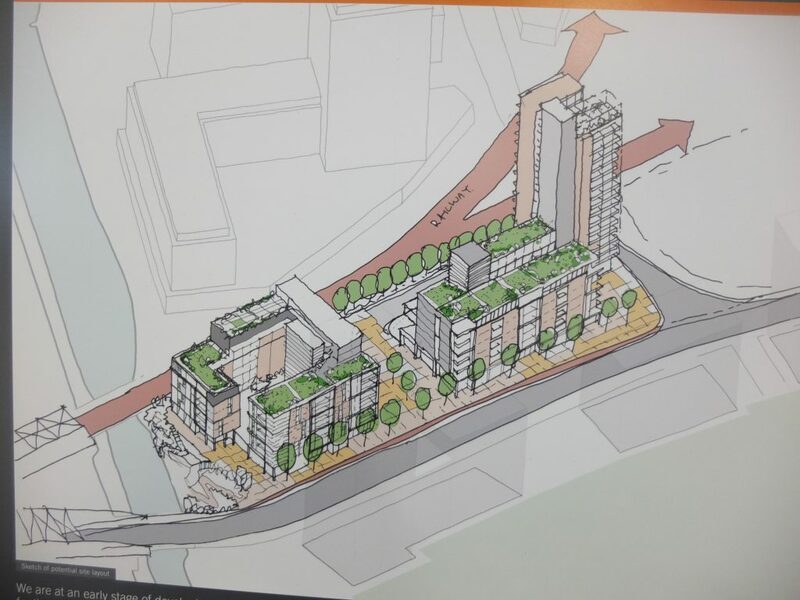 The proposed scheme includes a residential tower (18-20 storeys) along with 6-8 storey blocks. The tower is placed at the northern part of the site, furthest from the canal. A planning application for the Mitre Yard scheme is expected to be submitted in early 2017. Pre-application discussions with OPDC planners are in progress.